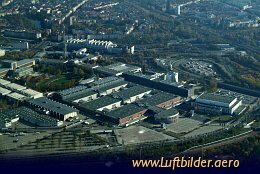 Berlins Westend is a borough of the Charlottenburg-Wilmersdorf district. It was planned as an exclusive residential area like Londons West End. 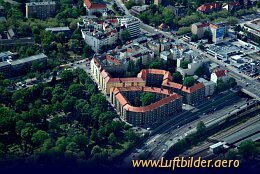 Today typical Berlin appartment buildings form the picture of this area. The Berlin Radio Tower (german: Funkturm) was built between 1924 and 1926. It is 150m high. It was used as radio and television station until 1973. The large steel construction (similiar to the Eiffel tower) is one Berlins points of interest and a protected monument.